Matisyahu may sound and look a bit unusual at first, no doubt about that. Being the Hassidic Jew that he is, it's a strange experience to try and understand him from a first listen. But after two choruses of this Hasidic Reggae sensation, he can pretty much get you all hooked, if not by his music than by his words and extremely positive message. Even if you're not a fan of this type of religious hymns, you might as well find a comfortable shelter under the wings of his uplifting vibe. Frankly, It's not a weird thing after all, a religious Jewish guy turning into this kind of music, since the very core of Reggea is religious as well. Much like his Christian rock spiritual parallels P.O.D, who have joined forces with him on their latest album Testify, his message is pure, simple, even naive at times - but so very adorable and sweet. It's hard to say NO to Matisyahu. His new and second album, Youth (not including the groovy Live @ Stubb's from last year) is set to be released at the beginning of March on JDub Records. 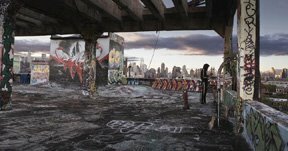 The video for the first s/t single is just as much simple and plain, showing different characters and NYC roof-tops. 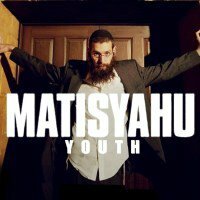 Some say Matisyahu's music is childish, some might say the whole Hasidic Reggae thing is a bad joke and is being used as a marketing tool only. Personally I find these accusers to be totally superficial and negative, nasty even. As for Matisyahu's part in the NYC traffic violation defense - well, I'm surprised to find out he's a really involved guy. Try reaching http://www.matisyahu.com , and you'll get the idea. So, have you already paid for your car insurance? Click to watch the video for "Youth"
hi Lihi, check out alot more about Matisyahu.